isicad.net editorial: Bricscad is well-known rather as a powerful platform for development of vertical applications than yet another clone of AutoCAD software for less money. Bricys, a company that develops Bricscad, includes Russia in the list of three most important markets for their business. Erik De Keyser, CEO of Bricsys, explained us what differs Bricscad from other DWG-based solutions, what companies use it, will it run on Mac and iPad, has the DraftSight announcement impacted on the Bricscad sales, and what are the Bricsys' plans for the future. You position your main product – Bricscad – as the number one DWG CAD alternative. What are your advantages over competitors? Bricscad is at the forefront with its feature set for 2D and 3D and Bricscad has far more vertical applications running on it than any other .dwg alternative. In particular for Russia Bricscad already has many applications to offer in a wide range of CAD and Engineering disciplines. There are two aspects about Bricscad: (1) it is an end-user CAD drawing product for the most diverse areas of engineering and (2) via its API’s it is a platform for application developers. 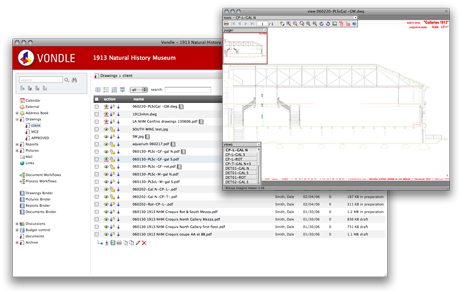 Of all the competitors in the AutoCAD alternative market, Bricscad was the first to implement ODA’s Teigha libraries. Teigha is the latest C++ based version of the ODA’s .dwg file format - a crucial element to address full compatibility. IntelliCAD and all its derivatives are still based on the old libraries and miss substantial capabilities to be ultimately compatible with AutoCAD ®. Furthermore Bricscad – with its BRX API is the only .dwg platform that offers an alternative to AutoCAD’s ARX. BRX is code compatible with ARX and allows application developers to port their AutoCAD based applications to Bricscad just by recompiling their code. And if, ultimately, they are missing a BRX function, we develop that for them on request with a high priority. Today we have more than 500 application companies that are in the process of porting their application to the Bricscad platform and we have well over 170 applications commercially available. Our LISP API is probably the fastest on the market and very comprehensive. All other API’s used for .dwg development are available also for Bricscad. This all combined makes Bricscad indeed the number ONE .dwg CAD alternative. This is confirmed by the constant increase of our installed base and the growth of our company year over year. What industries cover your solutions? Who are your customers? Over the last 30 years AutoCAD has become the dominant CAD product in the market, mainly because so many applications were made available to serve niche markets and answer regional requirements and standards in almost every area of engineering. Today Bricscad too is used in all segments of engineering as a stand-alone CAD product as well as in combination with a rich choice of applications running on its platform. Thanks to our broad API set, we can focus on serving as many applications as possible. Actually we have 16 categories of applications, covering many aspects of engineering. Main area’s such as AEC, GIS, Mechanical are well covered, regionally as well as internationally. Together with our partners it allows us to address a very wide range of customers. We have now reached a point where large corporations have started to rely on our products and our support. For example: Tyco Fire products, a world leader in fire protection has ported its AutoCAD based SprinkCAD software to Bricscad. Even more: Tyco decided to produce a special version for the residential market exclusively available on Bricscad. This is just one example of many. We are very active in 70+ countries with as many Bricsys Partners, who help us to license and support our products. Is the Russian market important for you? What are your plans here? The Russian market is extremely important to us and the number of available Russian applications for Bricscad confirms that there is a high interest in our technology. Russia is a country with a great engineering culture and a huge potential. We work together with an increasing number of Russian developing companies. Historically we have very good experiences with Russian developers. It may be interesting to know that we have a team of 14 outstanding software engineers in Nisni Novgorod. This Russian team works on the core of the Bricscad product. For us the Russian market has a huge growth potential. Since 2003 all our software products are available in the Russian language. Recently we have released the new Bricscad Classic for LINUX in Russian and we are positively surprised by the immediate interest in the Russian market, confirmed by the large number of daily downloads. Bricsys will continue to explore new capabilities and new alliances with Russian developers. We have already a close collaboration with the LEDAS Company, based in Novosibirsk. We are also focusing on the Russian application market. The release of our BRX API for LINUX is imminent. It offers a wide new range of capabilities for application developers – more than they have on any other CAD platform. Each additional application increases our potential in Russia. Russia should always be in the top 3 of our most successful markets. We will do whatever we can to make this happen. How long are you in the CAD business? Please describe in brief your background and Bricsys history. My background is in architecture. By introducing CAD in my own architects practice I got passionate about software. That’s how it started. Our presence in CAD software development goes back to the early- and mid- nineties, when we developed one of the first Building Information Modeling (BIM ) solutions. In 1996 we released BricsWork for MicroStation - a 3D solid modeler for the AEC market, able to generate 2D drawings and all kind of alpha-numeric reports. Bentley – the owner of MicroStation - first bought the distribution rights and created the MicroStation TriForma brand for it. In 1997 we sold all rights on it to Bentley and started to rewrite a new generation of that product, for AutoCAD and IntelliCAD. In 1999 the company was renamed to BricsNet and we did a successful IPO (Initial Public Offering) on the EASDAQ (later renamed as NASDAQ Europe). Through acquisitions we became very active in SaaS based facilities management. In 2002 I lead a Management Buy Out (MBO) to acquire all the IP rights to CAD from BricsNet. Our first focus was reselling IntelliCAD. Soon we discovered that the quality of the IntelliCAD code was a bottle neck. We started to write new source code and sold back parts of it to the ITC (IntelliCAD Technology Consortium). 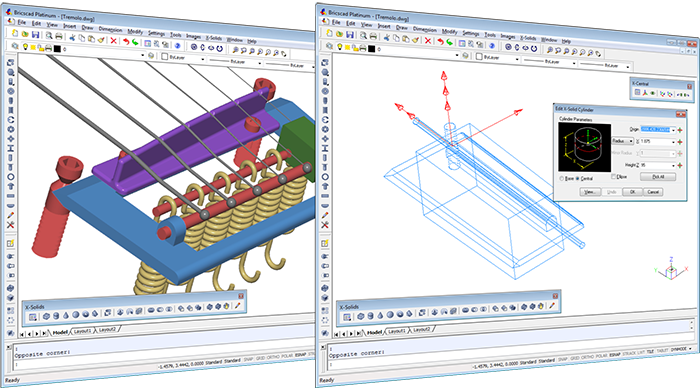 In 2006 our code drifted away from the original IntelliCAD code base and we decided to write a completely new proprietary CAD platform - a task that was only finished in February 2010. At that moment we terminated our membership in agreement with the ITC and Bricscad became an independent CAD platform, fully owned by Bricsys. In the mean time we have developed the BRX API, a crucial element to penetrate the application market. Another part of our business is the sales of our Vondle technology – a 100% SaaS Document- and Data Management system. Bricscad is a platform for application developers – there are over 170 third-party products based on it. How do you support third-party developers? Support is a key element in our philosophy and a cornerstone of our success. First of all Application Developers receive all the necessary software and SDK’s, including daily support completely free of charge. It confirms our commitment to these partners. So how do we organize this? Our business is based on our home-grown CRM system called Bricsys Online Administration (BOA). It is a pure SaaS system and it is the backbone of all our operations. Through BOA we support both our customers and partners in almost the same way. We have 57 localized versions of the Bricsys website serving our customers wherever they are on the globe. Each customer or user of a trial version or application developer receives a login for his protected area on the website. There he can enter support requests. If someone in Tokio enters a support request in Japanese, it immediately arrives on the servers in the Bricsys’ data center in our Belgian HQ. Since we don’t have any native Japanese speaker in our Belgian organization we immediately forward it to our partner in Tokio. Our Partner Agreement requires that the partner – if it knows the answer – sends that answer directly to the client, or – if it doesn’t know the answer – translates the support request to English and sends it to our corporate support center. There it is dispatched to one of our support analysts. When an adequate answer is ready, it is send to the Japanese partner who translates it instantly and sends it to the client. For clients with a support contract this procedure takes between 24 and 48 hours. In case of a trial version, an answer is sent within a week. Each support request receives a unique identifier in our database. If the support request related to a bug it would show up in our three-weekly release notes. Each Bricscad customer can check if its support request is implemented in the release. All support requests and all communication between support analysts, partners and customers are stored in the database and available online. When the Bricscad customer logs in on our website he or she has access to all his support requests and answers. Bricscad application developers have a separate login area, but the support procedure is exactly the same. We have a history now of 9 years of support requests and answers in our database - all tagged to the respective customers and application developers. For Bricsys this represents a great history based documentation source that has proven its value many times. Previous versions of Bricscad were based on the IntelliCAD platform. Why have you left the ITC. We have been a member for more than 7 years. In 2002 we were selling plain vanilla IntelliCAD, but concluded that it was in need of an entirely new architecture. We have started to work on the code and in 2005 we produced Bricscad V5, containing hundreds of bug fixes and some serious performance enhancements. The ITC bought back this code and we proposed that the ITC would take our version as their basic version and merge what was left on top of our version. The ITC decided otherwise. The result was that we got more and more isolated from the original IntelliCAD code. With each new version of IntelliCAD it became more difficult for us to merge it with our code. Till it didn’t make no longer any sense and we decided to write the whole source code on our own. At that moment we made the code ‘operation-system-independent’, by using WX Widgets to program the Graphical User Interface (GUI). It made Bricscad portable to non-Windows Operating Systems. In February 2010 we finally left the ITC indeed and moved on independently. The past few years have proven that we made the right decision. Three year after we released them, the ITC is still struggling to release their first version based on the modern Teigha libraries (formerly known as DWGdirect libraries). It took us nearly two years to optimize performance and stability. At the time we communicated transparently to our customers to explain to them that - in their own interest - we had to go through a complex process. This is a process that the ITC - if the new IntelliCAD was ever to be released – still has to go through. Another problem in the ITC is the decision-making. The Board of Directors runs the ITC while it is made up of competitors. That does not help fast and crystal clear decision-making. It is not efficient enough to keep up with the rest of the competition, where the management acts fast to implement comprehensive strategies. But we wish the ITC all the best. Recently you released Bricscad for LINUX. Do you plan to enter the Mac OSX or maybe the iOS (iPad) markets? Although we were well prepared to make Bricscad OS independent, it was still a huge task to produce the first non-Windows based version, i.e. the LINUX version. There are some substantial differences between both operating systems e.g. where to save files, how to print files, etc. Printing facilities in LINUX were not at the level of Windows, so we had to develop huge chunks of printing code to solve this. A lot of the work we did for LINUX will be useful in our porting process to the Mac and iPad. We are planning to start that in the second half of 2011. Today we are working on the Bricscad Pro version for LINUX. This implies that we will add all ACIS functionality for 3D and deliver the BRX API. We get a lot of requirements from the application developers to port their applications to the LINUX platform and Bricscad will be the first platform to get them there. We certainly want to complete these tasks before we tackle the Mac OSX and iOS. Yet we are optimistic about the job. Although - since recently - there are four .dwg offerings on the Mac already, we see many opportunities, thanks to our expertise in the API’s. Application developers will have the choice between all three main Operating Systems when they choose Bricscad as their primary platform. That is compelling for them and for us. Your second product – Vondle – a document and data management system, is based on the SaaS business model. Are you planning to use the same model for Bricscad. Vondle is indeed a document and data management system that we market in a hosted model. Vondle is developed by a Sister company in our group and distributed by Bricsys. Vondle allows creation of a hierarchical structure in the management of a project: there is an Administrator who can assign an unlimited number of Sub-Administrators. They are in control of the entire structure of the project folders and manage in detail the access rights of each and every participant. Vondle has all different kind of folders typically required for project information: a project calendar, a project address book, document folders, a project email system, an url map, unlimited forums to be set up, workflows, and last but not least a fully programmable database in the cloud. The system has desktop speed. There are no licensed components in the product – it is all developed in-house. Over the years we have acquired a lot of expertise in cloud computing: e.g. we have developed probably the fasted viewer on the planet, allowing to view, annotate and print all kinds of file formats just in seconds – it is now possible to display a 100Mb .dwg file within just one second. Another example is the way Vondle creates workflows and how Vondle manages them: you can design whatever workflow you want in your browser, like you draw an MS Visio chart flow diagram. In the background Vondle builds up the code for execution of the workflow you designed. And then there is the Online programmable database. Users can define tables the same way they do for a desktop database. Queries can be built in standard SQL and reports are generated automatically. Forms are graphically editable and customizable. All in a drag and drop user interface in the browser. Reports can also be launched through a workflow instance. It can automate the reporting of recurring processes. Each Vondle function is also available via a SOAP interface, allowing the development of totally new applications based on Vondle. Because the Vondle database is centralized on the Vondle servers, it can be connected with other databases via SOAP connectors. Vondle then becomes a data aggregator and a report generator for combined data originating from different sources – an extremely powerful technology. These days CAD/Engineering is about the combination of geometry and data. Bricsys has the technological elements to use and share it in the cloud. Sharing data with people and organizations outside your own organization requires control on access rights, but must allow a maximum of comfort in the communication between participants. We think cloud based design is going to be the way of the future. If the market evolves in that direction Bricsys is ready to be at the forefront of that evolution. Today the advantages of cloud computing are immediate as explained above. We see a possible business model for Vondle comparable to Bricscad’s: Vondle is an out-of-the-box SaaS service ready for use, but on the other hand it is a platform where partners can build their own applications with all the Vondle functionality. 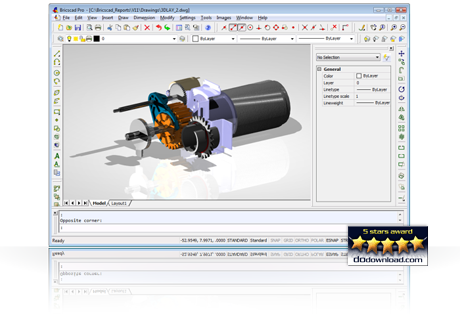 In the latest version of Bricsys Platinum you introduced 3D parametric solid modeling. Did existing users request this functionality or are you planning to attack new markets with it? Last summer Dassault Systemes released its free DWG CAD (DraftSight). Has it impacted your business? Of course the announcement of DraftSight drew our attention. It targets exclusively the 2D market and is free of charge, on the condition that you don’t need any API. Knowing that most of our customers want at least the LISP API, there is a significant differentiator between the two products. If you want API’s to customize DraftSight or need support, you’ll pay a yearly subscription fee of 250 US$. Because of the lack of API’s and support, the free DraftSight version is not comparable to Bricscad Classic. Moreover, Bricscad Classic also offers a growth path to the powerful Platinum version, while DraftSight does not provide a similar migration path. The paid version of DraftSight only competes with our basic version Bricscad Classic. More and more customers upgrade to the Pro and Platinum version. This indicates that our customers in general require far more functionality than a basic 2D drafting software solution. We have many plans, but just to name a few: We want to make Bricscad a major player in all markets and will continue to position the Bricsys Community as the ,meeting point for Bricscad users, application developers and ourselves. Bricsys will continue to invest in staying the best .dwg CAD alternative for end-users and application developers. Furthermore, making the Bricscad community the number one .dwg community is an important target. We have extended BOA to make all its functionality available to our application partners. They can also BOA use for e-marketing, e-sales and e-support to their customers and our corporate licensees. The customers can now experience the same kind of support for Bricscad AND the partner’s applications running on it. Thanks to the teamwork with our international partners language differences are no longer an obstacle to communication and support. Bricscad also helps Application Partners to promote their products and communicate with their regional and international markets about the features in all their applications. In this way the Bricscad community will become more and more attractive to end-users and application developers alike. We will soon extend our set of API’s to .NET. We expect to grow fast in the application market on Windows, LINUX and Mac OSX/iOS. Bricscad will also become an important player in the 3D mechanical market. I can’t reveal here our development schedule and plans in detail but be assured that we are extremely ambitious about that segment. An last but not least, the integration of the Vondle technology and Bricscad will be one of the key differentiators for Bricsys. It opens new possibilities in both the AEC and Mechanical market for our Application Partners and us. We have unique key cloud based technology for managing and sharing huge amounts of engineering data online and allowing teams to collaborate in the cloud. Thank you! We wish you best of luck with your plans!